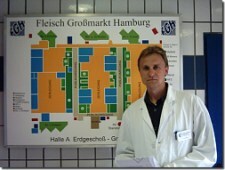 We have been engaged in the quality management at the Wilhelm Bannaski GmbH for years already. 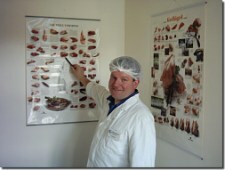 It's our task to support in quality management, in company and manufacturing flow planning for the trade with food. As a result of our long years experience we can say that quality management and company/product flow process belong together and with this constallation we can offer extensive solutions, conceptions and quality management. We support our clients - industrial or commercial - to keep resp. to improve company's own hygiene status or in the intended newbuilding, expansion or reorganisation. With our specific competence, which has been achieved by steady training we have vast and practical experience in many areas of the food trade. Our company is located at the Hamburger Fleischgrossmarkt and this enables us to support our clients in short time and at low cost.